Eating healthy and eating well can be a particularly challenging task in modern society. There are so many different options for food out there, and most of us do not have the time or energy to make healthy meals at home. While you can’t exactly pull extra time out of a hat, knowing what nutritious foods to choose each week when you shop can help make life a little easier. This can also make sure you have the right food in your pantry and fridge when you come home to cook. Planning ahead is so critical these days when time counts and families are so busy. This post aims to offer some ideas and inspiration about a healthy grocery list and things that you should also have in your pantry. While variety can be important in cooking and in eating, having a set of staple ingredients can make the process of shopping so much easier and less stressful. In general, you should include fresh fruits and vegetables in any healthy diet, ideally, a selection of each. After all, higher fruit and vegetable intake has been associated with decreased levels of cardiovascular disease and cancer risk, as well as an overall decrease in risk of death (1, 2). If you are limited in how much fresh produce you can have and store, either because of perishability or cost, snap frozen vegetables and berries can be an alternative. On average, you should try for at least five types of vegetables and three types of fruit each week. These might change from week to week, depending on what’s in season, what’s on sale and what you are interested in. In fact, varying the fruits and vegetables that you consume can be particularly good for health, as doing so lets you get a range of different nutrients into your diet. While produce, in general, tends to be good for your health, there are some specific fruits and vegetables that are worth purchasing frequently or keeping in your house. Kale has become a particularly popular vegetable in recent years, although the fad is starting to fade. Fads aside, kale is a particularly important vegetable for health for a number of different reasons. One aspect is that kale is very nutritionally dense (3), containing many compounds that have been associated with improved health, such as magnesium (4), potassium (5), iron, vitamin B6, vitamin K (6) and manganese (7). Beyond this, kale also has significant antioxidant properties and contains flavonoids that have other potential benefits for health (8), such as the potential to decrease blood pressure (9) and to help fight against inflammation (10). It may also be a healthier choice than spinach. While both vegetables are high in nutrients, kale has the advantage of being lower in oxalates, which are substances that can reduce mineral binding in the intestine (11). Like kale, spinach is a nutrient-dense vegetable that is a valuable addition to the diet. It contains many of the same nutrients as kale, such as potassium and iron (12) and, in general, the two types of leafy greens are pretty similar nutritionally. Research suggests that spinach can play a key role in fighting inflammation and as an antioxidant in general (13). Spinach also contains the important compounds of zeaxanthin and lutein. Both of these have been associated with reducing the risk of eye issues and promoting healthy vision overall (14). A surprising fact with spinach and with dark leafy greens, in general, is that they are healthier when they are cooked versus raw, particularly in relation to their antioxidant role (15). In general, dark leafy greens (like kale, spinach and Swiss chard) share many of the same health and nutritional benefits. They can also be used interchangeably in many recipes. Changing up between the different types of dark leafy greens can be a fantastic way to keep yourself healthy and to add variety into your food. This type of green also works very well as part of a green smoothie or as an addition to other types of smoothies. In fact, if you have some other strong flavors in your smoothie (like banana or berries), you won’t even taste the greens at all. You could also add in components like wheatgrass powder for extra nutrients. There are a large number of different vegetables that fall under the label of cruciferous vegetables. The term specifically refers to vegetables from the family Brassicaceae, which is a particularly widely cultivated family. Globally, there are around 3,200 species in the family, although most of these are not cultivated and many are herbs. There are many differences across the members of the family, but nevertheless, they are a key source of nutrients and contain significant phytochemicals. Varying which ones you include in your diet can be a good way of having variety and maximizing your nutrient intake. Compounds in cruciferous vegetables have also been linked to a number of key health benefits. One particularly important group of compounds in cruciferous vegetables are the glucosinolates. These are organic compounds that contain both nitrogen and sulfur. This group of compounds has been the subject of considerable research, particularly because of their potential benefits in fighting and protecting against cancer (17,18, 19). Additionally, cruciferous vegetables have significant antioxidant properties (20, 21) and may help to reduce inflammation (22). I’ve always found sweet potatoes to be a particularly good addition to one’s diet and they serve as a valuable replacement for potatoes and other starches. In fact, sweet potatoes are healthier than many other starches that are commonly consumed. Sweet potatoes are a versatile vegetable and can be cooked in many of the same ways that regular potatoes can, including being baked, grilled, roasted and steamed. Likewise, they are good ingredients for soups and stews, and for a large number of other uses. Additionally, sweet potatoes are a good source of a number of key nutrients, including vitamin A, vitamin B6, manganese, potassium and others (23). There have also been some suggestions that sweet potatoes may act as a medicinal food, having some anti-inflammatory properties and the potential to help fight cancer (24,25,26,27). While considerably more research is needed in this area, the nutritional properties alone warrant sweet potato a place on any healthy grocery list. Onions are a pretty staple ingredient in any kitchen and they are commonly used in many different dishes. Some of the more common varieties are red, white and yellow onions, and there is also a lot of variation in size and shape. The most significant health benefits associated with onions include the ability to reduce inflammation (28), the potential to protect against bone deterioration (29, 30) and the potential to help regulate blood sugar (31,32). Additionally, onions also have antioxidant properties (33,34,35). Fruit gets overlooked surprisingly often in a healthy diet. People are often concerned about the sugar and worried that they will gain weight. Yet, many fruits offer powerful compounds that can promote health and fight inflammation. At the same time, the sugar is natural and you're consuming fiber at the same time. This means the impacts for your health and weight are much more positive than you may assume. There are also countless options to choose from, including fresh berries, persimmon, grapes, kiwis, peaches and figs. Filled with healthy fats, avocados are a very popular produce choice, especially because of their taste and texture. Their uses are almost limitless including guacamole, salads, smoothies and wraps. But, avocados are much more than simply a popular food. They are also a powerhouse of nutrients, many of which can help promote health. Some of the key nutrients include vitamin K, folate, potassium and vitamin B6 (36). Additionally, avocados are a good source of fiber, so they help you to feel full for longer. An even more important aspect of avocados is the fat that the fruit contains. Most of an avocado’s fat comes from oleic acid. This is a monounsaturated fatty acid and is also the most prevalent fat in olive oil. As a monounsaturated fat, oleic acid is associated with the ability to help decrease levels of LDL cholesterol and overall cholesterol, which are considered risk factors for heart disease (37, 38, 39). Avocados also contain both lutein and zeaxanthin, nutrients that play a key role in eye health (40, 41, 42). Lemons are a good addition to a healthy grocery list because of their versatility and how healthy they are. Lemon juice can be used in a wide range of different dishes, and it can be a good way to add a bit of tang to food. Likewise, the zest from lemon can be used in many different ways. One particularly good use of lemon juice is to make lemon water, which can be used as a substitute for water and a good way of rehydrating. A significant aspect of lemon for health is the fiber pectin. This is a soluble fiber, and it can help to decrease blood sugar levels by influencing the rate of digestion (43). There are a number of other compounds in lemon that are also relevant to health, and like other citrus fruit, lemons have been associated with improvements in relation to inflammation, and cardiovascular disease (44, 45). One particularly healthy choice in terms of fruit is blueberries, and these are my personal favorites. Blueberries are an important choice because they are very dense in nutrients and are also low in calories (46). They also have the advantage of being exceptionally easy to eat, and much less messy than most other berries out there. The berries have very high levels of antioxidant activity, much higher than most other fruits and vegetables that we commonly consume (47, 48). This antioxidant action has multiple implications for health. These include reducing the damage that occurs to DNA (49,50), preventing LDL cholesterol from being oxidized (51, 52, 53) and potentially reducing the risk of heart attacks (54). Blueberries have also been associated with helping to improve brain function and help delay cognitive aging (55,56,57). People often avoid frozen fruit, based on the idea that fresh produce is much healthier. That might be true for produce that is eaten straight after harvest, but it really doesn’t apply to much of the produce that you find at the grocery store. The problem is that fruit will start deteriorating from the moment that it is harvested. So, if you have fruit that has traveled across the country (which is common) and then sits in the grocery store until it is purchased, you end up with fruit that has lost a lot of its nutrients. In contrast, frozen fruit is often snap frozen soon after harvest. This prevents nutrient loss over time. While the freezing process itself may decrease the levels of some nutrients, frozen fruits remain rich in nutrients. Overall, this tends to mean that fresh and frozen berries are similar in terms of nutrients (58). This is particularly relevant in winter, where fresh produce becomes much more difficult to access, and the produce available has often traveled considerable distances in the United States or may have even come from other countries. Frozen berries are a particularly useful addition to a healthy grocery list because this allows you to use berries throughout the year, even when they are not readily available otherwise. The trick is to look for frozen berries that don’t contain added sugar. This is easy enough to do, simply look at the ingredients list. Ideally, it should contain nothing but the berries themselves. Frozen berries are fantastic because they are so versatile. Many recipes will work well using berries straight from frozen. Likewise, you can also use frozen berries on some desserts. For example, crumbling frozen raspberries on just about anything turns out amazing. Frozen berries are also a great addition to a smoothie and can be used as a substitute for ice. This is actually a good way to get berries into your diet on a regular basis, along with other potential smoothie ingredients like kale (or other green leafy vegetables). This area is fairly controversial these days. As a general rule, grains and seeds do contain a significant amount of beneficial nutrients. They can also be a powerful part of a healthy diet. Nevertheless, some diets will cut all or some of these ingredients out. As a result, you will need to decide based on the approach you follow and your personal needs. Bread is a heavily debated topic. On the one hand, it has been a staple component of the human diet for many years. But, on the other hand, bread has become increasingly more processed and there is growing awareness of the potential negative health impacts of bread. After all, most commercial bread now contains added sugar and are made from either refined wheat or whole wheat that has been pulverized. A good alternative is Ezekiel bread. This type of bread is available at many grocery stores. However, you might not have spotted it before, because it isn’t stored with the rest of the bread at stores. Instead, it is typically found in the freezer section, as it is highly perishable. The significance of Ezekiel bread is that it isn’t heavily processed. Instead, the bread is made from sprouted whole grains. It also doesn’t contain preservatives or sugar, and strongly relies on natural ingredients. This means that Ezekiel bread tends to be higher in nutrients than other types of bread. For example, the bread contains all 9 essential amino acids, higher levels of vitamin C and B vitamins. Likewise, the process of sprouting helps to make the bread easier to digest (59,60). Perhaps the most significant aspect of the bread is that it doesn’t use flour. Flour is a concerning ingredient because flour has a much higher surface area than the grains themselves do. Because of this, the enzymes in the body can convert the starch into glucose much more quickly. However, the bread is still made from grains, so it does contain gluten. This means that if you are gluten intolerant, the bread may not be a good choice. Likewise, the bread still relies on wheat, which is associated with some health issues (61, 62). Despite this, the bread is worth trying for many people, as Ezekiel bread is much less refined than most bread products and most gluten free products. People often find that moving away from processed products and towards natural and whole foods is enough to solve many health issues that they have been fighting with. It is certainly a much better addition to a healthy grocery list than most other types of bread available on the market. Chia seeds can often seem unappealing, simply because they have a pretty bland flavor. However, that actually ends up being an advantage, because it makes it very easy to add chia seeds to pretty much anything. For example, some people use the seeds in smoothies or in baking, and they can also be sprinkled across yogurt and salads. In some cases, chia seeds also work well for cooking, as they absorb the liquid. Because of this, some people use them to thicken sauces or even to replace eggs in a recipe (63). The site Detoxinista offers instructions fro how to do precisely that. The significance of chia seeds comes from their potential health benefits and their nutrition benefits. For example, the seeds have significant levels of manganese, magnesium, phosphorous and fiber, while also containing key amino acids and other nutrients (64). Some people have issues with chia seeds because they are relatively high in carbohydrates. However, the vast majority of those carbs are fiber. Fiber is technically considered a carb, but really it shouldn’t be because the body doesn’t digest it. Likewise, fiber doesn’t contribute to blood sugar. Overall this means that in effect, chia seeds can be considered a low carb food, even though they don’t look like it on paper. The seeds are also significant antioxidants (65), which has strong potential implications for health (66, 67). Another interesting part of the seeds is the protein component. Chia seeds are relatively high in protein for a plant product and they are particularly significant because of how easy they are to include in the diet. Protein has many advantages for health, a number of which I have talked about previously. 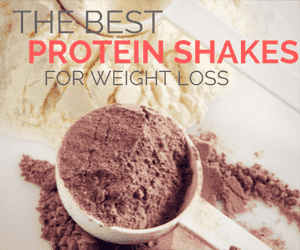 Both the fiber and protein content have the potential to strongly help with weight loss, although research on this area has not had particularly encouraging results (68,69). Despite this, the nutritional profile of chia seeds makes them a healthy addition to a diet and they may well play a role in efforts to lose weight. Quinoa has become a very popular food, but it is also a particularly interesting one. The interesting aspect of the plant is that it is treated as a cereal grain, even though it isn’t actually a cereal grain. Instead, you are essentially eating seeds (70). One cool thing about quinoa is that it can be eaten and cooked in a similar way to a grain, but it doesn’t contain any gluten. With so many people trying to avoid gluten (71), foods that are naturally gluten-free are very important. After all, naturally gluten-free foods tend to be much less processed and potentially much healthier than most of the gluten-free foods you find in grocery stores. Quinoa is also especially high in fiber for a grain-like food. For example, one cup of uncooked quinoa contains 12 g of fiber (72), while one cup of cooked quinoa contains around 5 g of fiber (73). The difference in values comes from the way that quinoa absorbs a large amount of water when it is cooked. While much of the fiber in quinoa is insoluble, it does still contain a decent amount of soluble fiber. That type of fiber has been associated with health outcomes like lower cholesterol and lower levels of blood sugar (74, 75). Quinoa is also powerful nutritionally. One very important component of this is that quinoa contains all of the essential amino acids. These are amino acids that we need for health, but we cannot produce them ourselves, so they must come from our diet. This makes the protein in quinoa better quality than many other sources of protein, including most other plant-based sources of protein (76). At the same time, the nutrients of quinoa are especially significant. The food has decent levels of iron, zinc, magnesium and potassium – minerals that many people do not get enough of (77). It also has substantial levels of antioxidants, which is another healthy element of the food (78, 79). There are many different options for meat and fish, each with their own distinct characteristics. In many ways, the healthiest approach is to simply vary your intake, rather than just sticking to one or two types. Even so, there are some particularly powerful choices that can help you stay fit and healthy. In general, fish is a particularly good option in the diet, helping to boost omega-3 fatty acids (80) and acting as a good source of nutrients overall. Indeed, the omega-3 from fatty fish has been associated with reductions in the risk of cardiovascular disease (81). Omega-3 has also been linked to a number of other positive health outcomes, such as improving outcomes for depression (82), a decreased risk of dementia (83), improved cognitive performance (84). Fatty fish is one of the most effective ways to get omega-3 fatty acids into your diet, and this is a leading reason for why their consumption is so highly recommended by many different parties, including the American Heart Association. Research suggests that wild fish are a safer option than farmed fish and can also be more valuable nutritionally (85, 86, 87), although this can vary based on a range of factors. Of all the types of fatty fish, salmon is one of the best for health, offering high levels of many important nutrients (88). Another particularly interesting fish for health is sardines. With sardines, you actually eat the whole fish, which includes the bones, the skin and the organs – something that you don’t do with most other types of fish. This makes them very high in nutrients and a good choice for a healthy diet (89). Tuna is also an especially healthy type of fish, as long as it is eaten in moderation. The problem with tuna is that it contains higher levels of mercury than most other species of fish, however, this is not an issue as long as you eat the tuna in moderation, such as once or twice a week. There has always been a lot of controversy surrounding beef (and red meat in general). A lot of people will say that it is unhealthy, that it promotes inflammation, promotes heart disease and that it can make you gain weight. That isn’t really true though. The belief tends to be based on the idea that fat and cholesterol are ‘evil’ and should be avoided whenever possible. That perspective is one I’ve talked about extensively elsewhere. In general though, fat isn’t as bad as people claim and studies have failed to find the expected connection between fat and heart disease (90). At the same time, lean beef is an excellent source of protein. This protein can help prevent muscle loss (91), helps to promote weight loss (92), plays a key role in reducing appetite (93, 94) and helps to decrease food cravings (95). These advantages are true for normal beef that you buy from a grocery store and also for grass fed beef. However, if you can afford it, grass fed beef is a better health choice for multiple reasons. This comes from the fact that the food that cows eat can significantly influence their health and the nutritional composition of the meat that comes from them. Conventionally raised cows spend substantial amounts of time on feedlots as part of a Concentrated Animal Feeding Operation (CAFO). This type of operation has a strong emphasis on maximizing profit. Because of this, the cows in these operations may be given hormones or drugs to help them grow. At the same time, grain-based feeds are used to fatten up the cows. The differences in what the cows eat and how they are raised contribute to significant differences in both fatty acid profiles and in antioxidant levels. In general, grass fed beef has more favorable fatty acid profiles, which can potentially contribute to health benefits for people consuming the beef (96). Another particularly good option for protein is chicken. For many people, chicken (especially skinless chicken breast) is a preferred option for protein, because of the combination of high protein and relatively low calories. With chicken, the most calorie-heavy component is the skin, which people tend to eat relatively little of. The skin can also be removed, and this is particularly common practice by people trying to lose weight. Most of the health benefits of chicken relate directly to the protein and I discussed the importance of protein earlier. There are also some nutritional benefits, as chicken is a very good source of niacin (vitamin B3), and vitamin B6 while also acting as a decent source of a range of other vitamins and minerals (97). It is also a very versatile type of meat and can be used in a wide range of different types of dishes. Dairy (and eggs) can offer considerable nutrients, including many that we need on a daily basis. Products in this category are also versatile. As such, they're relevant for many different recipes and methods of cooking. Despite the considerable debate that surrounds eggs, they are actually a particularly healthy addition to the diet. Eggs can play a key role in contributing to weight loss, partly because their high protein makes them filling (98,99). Eggs are also particularly high in a range of nutrients, including healthy fatty acids, vitamin A, chlorine and vitamin E (100,101,102). They have also been associated with improving HDL cholesterol levels (103). If possible, omega-3-enriched eggs are a better option for health as just about all of us need more omega-3 in our diet (104). However, this type of egg can often be challenging to find. Even as yogurt options continue to grow and expand in grocery stores, there is considerable debate about whether yogurt is actually a good option for health. Yogurt can be a particularly good option for health for multiple reasons. One aspect is the good bacteria contained in some types of yogurt (probiotic yogurt). This bacteria has the potential to help improve health (105), prevent some diseases (106), help improve the immune system (107, 108) and lower cholesterol (109,110). Yogurt is also an important source of nutrients, including protein, calcium and potassium (111). However, while yogurt can be healthy, not all of it is. For example, many people promote low-fat yogurt, but this is often high in added sugars and flavorings. Greek yogurt (and other types of strained yogurt) can be a good way to go, especially as this tends to be high in protein. Even full fat yogurt can be healthy, despite the stigma attached to it. More than anything, the trick to choosing good yogu﻿﻿rt is to pay attention to the ingredients, especially what the manufacturers add to the yogurt. Yogurt is a good addition to a healthy grocery list because of how you can use it as a snack, but also because of how it can be used as the basis of healthy smoothies. There are a lot of similarities between ricotta and cottage cheese, especially as the two types of cheese look very similar to one another and are packed in a similar manner. They are also often used interchangeably in recipes. However, there are some significant taste and texture differences between the two, which means that cottage cheese may be more suitable for some recipes and ricotta cheese for others. Cottage cheese is produced from a curd byproduct and contains some whey. This results in a relatively mild flavor and no coloring as the cheese is not age. In many cases, the curds will then be washed, creating a sweeter cottage cheese. In contrast, ricotta a whey byproduct. It also isn’t aged, but tends to have a more grainy texture than cottage cheese and has smaller lumps. Both of these types of cheese have the significant advantage of being high in protein, providing a good source of calcium and some other key nutrients (112). A particularly important vitamin is vitamin B-12. The significance of vitamin B-12 is that it only comes from animal products. While you do also find vitamin B-12 in red meat, fish and poultry, ricotta and cottage cheese offer good alternatives, especially for people who do not eat large quantities of meat. The high protein nature of the cheeses also makes them particularly relevant both as ingredients in recipes and as part of a high protein snack (for example, they make a great dip for carrots and celery). Spices, seasonings and the like are typically used in smaller quantities than other ingredients. Even so, they're an important part of a healthy diet and can offer benefits. They are also powerful as a way to make food taste better. With the right seasonings and ingredients at your disposal, you can make some truly amazing meals. Garlic is easy to overlook, but it really should be an essential ingredient in anyone’s kitchen. One aspect of this is the role that garlic plays in food. Garlic is a very effective way of livening up any dish, adding extra taste and flavor. It is a particularly relevant ingredient for people trying to cut down on salt in their diet, as garlic is a strong salt-free approach to flavoring food. Beyond this though, garlic also has considerable nutritional benefits. It is high in a number of vitamins and minerals, including copper, selenium and potassium, as well as vitamin B1, vitamin B6 and vitamin C (113). In fact, there is even an argument for eating raw garlic. An even more significant aspect of garlic is the active compound, allicin (114). Allicin has been associated with a number of potential health benefits, most significantly the ability to decrease total cholesterol levels and raise levels of HDL cholesterol (115, 116). Some research has also suggested the potential of allicin as a cancer-fighting agent (117), and it is also known for its ability to fight bacteria (118). Garlic itself has also been associated with the improved function of the immune system (119) and with the ability to reduce inflammation (120, 121). Finally, garlic is such a good addition to a healthy grocery list, because it will last such a long time. This means that you don’t have to buy it often and you don’t have to worry about using it soon after it was purchased. Many herbs and spices offer health benefits as the result of compounds that they offer. One particularly significant example is turmeric, which is a very common spice in curries and is responsible for the bright yellow color in some foods. The spice also has a long history in traditional medicine (122). One of the most significant (and most well-studied) compounds in turmeric is known as curcumin. This compound is responsible for the yellow coloring of turmeric and has a lot of similarities to the pigment molecules from other plants (like grapes and green tea) (123). Multiple different health benefits have been associated with turmeric or curcumin. One of these is the ability to fight inflammation (124, 125). There is a growing recognition that inflammation contributes to the development of a range of different diseases, such as arthritis (126,127). Turmeric also has an antioxidant effect, which allows it to fight the potential negative impacts of free radicals in the body (128,129,130). Some of the other areas that turmeric offers potential advantages in include, immune system benefits (131, 132), a potential decrease in the risk of Alzheimer’s disease (133,134,135) and even potential benefits to mental health (136,137,138). Even if you don’t make curries, turmeric is a good ingredient to have at hand, and can be useful to add a unique taste to many dishes. This has been a pretty popular product within the natural health community, but a lot of people haven’t even heard of it. Apple cider vinegar is like many other types of vinegar in that it has a distinct taste of vinegar – and it can be used in the same way that vinegar can. In general, vinegar has the ability to kill bacteria and other microbes because of the compound acetic acid, which is a key component in vinegar (139). Indeed, vinegar has been traditionally used in cleaning, disinfecting and treating some infections. It is also sometimes used as a way to preserve food (140,141). Vinegar has also been associated with decreasing blood sugar levels (142), which is particularly relevant for people with diabetes. For example, one study found that in patients with type 2 diabetes, two tablespoons of apple cider vinegar at bedtime resulted in a significant decrease in sugar levels the next morning (143). Apple cider vinegar has also been associated with benefits for heart health, including the potential to lower blood pressure and prevent the oxidation of LDL cholesterol (144, 145,146,147). However, it is important to note that the research into apple cider vinegar has been relatively limited, with most studies conducted on animals, not on humans. Despite this, apple cider vinegar does have the potential to offer significant health benefits, more so than most other types of vinegar. The vinegar itself can be used like any vinegar, including as part of a salad dressing. Some people also choose to take a few tablespoons of the vinegar as a shot or mixed in with a hot drink daily. In fact, the site Paleo Hacks offers 33 different ways to drink apple cider vinegar. Using oil is often important for cooking and for salads, but finding a healthy oil can be a bit tricky. Olive oil is one particularly good choice, especially if you go with extra virgin olive oil (which is the least processed form). Olive oil contains healthy fats (148), including significant levels of omega-3 fatty acids. It is also much less processed than most other types of oils and contains little omega-6 fatty acids. In fact, extra virgin olive oil is simply pressed from the olives, which means that no heat is used. That helps to preserve the nutrients of the olives. In the past, coconut oil has been a somewhat controversial topic, because it has a significant amount of saturated fats. Yet, despite this, many people argue that the oil is actually a superfood. The first thing to understand is that saturated fats aren’t really as bad as everyone thinks. The original idea is that saturated fat contributes to the development of cardiovascular disease. However, this perspective is largely the result of poor science. More recent research has found no such association between saturated fat and cardiovascular disease (151). In fact, there is even some evidence that saturated fats may help the fatty acid profile, by increasing levels of HDL and changing the concentration of LDL subtypes (152,153). As such, there is the potential that coconut oil could decrease the risk of cardiovascular disease. Coconut oil is interesting because it contains a specific type of saturated fat called Medium Chain Triglycerides (MCTs). This particular type of fat has been linked to some potential health benefits, particularly in relation to fighting obesity (154, 155, 156). Some studies have even found that supplementing with coconut oil itself can lead to decreases in waist circumference (157, 158). This type of fat is interesting because it is metabolized differently in the body. One aspect of this is that MCTs have the potential to increase energy expenditure, compared to fatty acids with longer chains (159,160,161). Another interesting aspect is that the metabolism of MCTs involves ketone bodies. These compounds have been associated with the potential to reduce appetite (162,163), as well as the potential to reduce seizures (164). All of these factors make coconut oil a particularly good addition to the diet, especially as most other oils do not offer much in the way of potential health benefits. Now, there has been considerable debate about coconut oil and views do vary. But, Chris Kresser offers a detailed examination of why coconut oil is actually healthy - and his evidence is worth reading. For some people, snacks are an unhealthy habit that makes it easy to overeat. But, for many others, they are an important part of staying healthy. They can even make it easier to follow a good diet. But, to get the most out of snacks, you need to make wise choices. All of these options can be powerful - offering nutrients and helping to keep you satisfied. For almonds, as for many nuts, there is this persistent idea that eating almonds is bad for health because of their high fat content, which means that they can contribute to weight gain. That perspective isn’t entirely accurate. Yes, almonds are relatively high in fat, and if you eat too many, you might gain weight. But that’s not the full story. The particularly significant thing about almonds is their high protein content. This makes them very relevant as a snack, as they tend to be more filling than many other options for snacks. At the same time, almonds are a source of key nutrients, including vitamin E, potassium and magnesium (165). Almonds have also been associated with significant health benefits. For example, research has indicated that almonds can help to decrease cardiovascular risk (166,167), throughout outcomes that include decreasing blood pressure (168) and lowering levels of LDL cholesterol (169). Everyone needs a treat now and then, and if you are going for sweets, dark chocolate is one of the healthiest options out there. There are actually many different health benefits associated with the chocolate, some of which may come as a surprise. For example, dark chocolate has been associated with improvements in heart health (170) and with decreased blood pressure (171). Likewise, dark chocolate has been associated with the ability to improve mood (172) and to decrease stress (173). It also has the potential to improve mental performance (174). In fact, dark chocolate has even been associated with weight loss. I know that’s a particularly surprising outcome, but it actually does make sense. It happens because dark chocolate can act to decrease hunger to a degree and lower interest in eating (175). One study even found that people who ate dark chocolate ate fewer calories in their next meal (176). Many of the health benefits of dark chocolate comes from the flavanols present in the chocolate. These are antioxidants and they play a key role in protecting the body against oxidative damage. With dark chocolate, there is a whole range of different types available, including different cocoa percentages, differences in processing and a variety of flavors. If you are looking for health benefits from the chocolate, it’s best to stick to chocolate that is no less than 70%, and the higher the cocoa content, the better. This is because chocolate with higher cocoa content will have more flavanols. At the same time, you should keep an eye out on the ingredients list for indications of the processing approach. Specifically, you should avoid chocolate that uses the term ‘processed with alkali’ or something similar. That term refers to a specific manufacturing process that can destroy many of the flavanols in the chocolate. Walnuts are another type of nut that are particularly good for health overall. As with most nuts, walnuts can be a healthy snack option due to their significant protein content.This helps to make them a more filling snack than many other options, which can help contribute to weight loss. Significantly, walnuts contain alpha-linolenic acid (ALA), which is a plant-based omega-3 fatty acid. Eating a diet high in ALA has been associated with significant decreases in the risk of sudden cardiac death (177, 178) and may also help decrease the risk of heart disease overall (179). Walnuts also contain powerful antioxidants (180, 181) and can help to promote brain health and performance (182, 183). How many of these items are already part of your grocery list? Which ones are you thinking about adding in the near future?